Discover how to play in a rock band with this Berklee Practice Method book/CD pack! 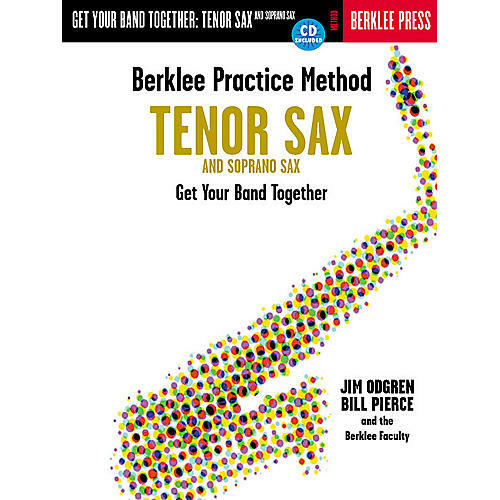 Lessons throughout the book guide you through technique that is specific to playing the saxophone in a contemporary ensemble. You'll learn: melody and improvisation, phrasing, articulations, breathing, chords, scales, theory, comping, reading, interpreting lead sheets, and much more. Daily practice routines are designed for practicing by yourself, or with other musicians. The accompanying CD features outstanding Berklee players and covers a variety of styles, including rock, funk, jazz, blues, swing and bossa nova.